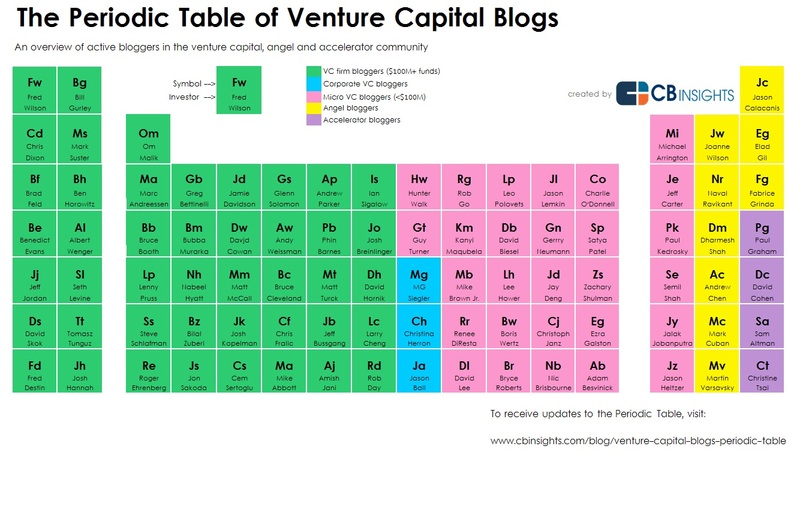 A friend of mine just sent me a link to a CB Insights piece that presents the periodic table of VC bloggers. It is a pretty cool way of showing everyone! Go to this link to check it out. Anand (CEO at CB Insights), add links to the blogs in your next iteration!